Dr. Chong�s interests are vaccinology, controlled-release drug formulation and delivery systems, rational design of immunotherapeutic and protein structure and functions. His current research and product development are avian flu inactivated vaccine, enterovirus 71 inactivated vaccines, meningococcal group B subunit vaccine, dengue subunit vaccine and CTL epitopes based HPV vaccines. Dr. Chong�s laboratory is also currently developing (1) Asian specific reagents for monitoring human cellular immune responses to vaccines, (2) universal carrier proteins for glycoconjugations, and (3) viral vectors for mucosal vaccine delivery. Dr. Chong had spent 15 years at Aventis Pasteur in human vaccine research and development. During his tenure there, Dr. Chong had developed two human vaccines, ProHibit against H. influenzae type b and the component pertussis vaccine, and also took a synthetic peptide-based HIV vaccine to phase I clinical trials in 1994. In June 2000, Dr. Chong joined United Biomedical, Inc. (UBI) as the Vice President and assisted to develop a peptide-based Foot-Mouth Disease vaccine. In 2003, Dr. Chong joined National Health Research Institutes (NHRI) to set up a newly created Vaccine Center for Research and Development. Dr. Chong has authored over 80 original research articles and over 40 patents grants. 1.Chang HW, Chow YH, Chong P, Sia C. The Cross-Regulatory Relationship between Human Dendritic and Regulatory T Cells and its Role in Type 1 Diabetes Mellitus. Rev Diabet Stud. 4: 68-76, 2007. 2.Chen HW, Liu SJ, Chong P, Sia C. The Development and Application of HLA Tetramers in the Detection, Characterization and Therapy of Type 1 Diabetes Mellitus. Rev. Diabetic studies. 3: 51-6, 2007. 3.Lien SP, Shih YP, Chen HW, Tsai JP , Leng CH, Lin MH, Lin LH, Liu SY, Chou AH, Chang YW, Chen YM, Chong P, Liu SJ. Identification of Synthetic Vaccine Candidates against SARS CoV Infection. Biochem. Biophy. Res. Commun. 358: 716-21, 2007. 4.Chong P, et al. The consideration for the clinical Trial of Pandemic Influenza Vaccine. Taiwan Pediatric Medical Journal. 47:18-22, 2006. 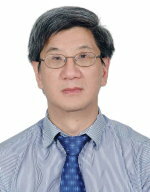 5.Chong P. Review on Vaccine Technology Development. ITIS 2006. Biotechnology Engineering Industry Yearbook. Chapter 5, p109-129, 2006. 6.Liu SJ, Leng CH, Lien SP, Chi HY, Huang CY, Lin CL, Lian WC, Chen CJ, Hsieh SL, Chong P. Immunological Characterizations of the Nucleocapsid Protein Based SARS Vaccine Candidates. Vaccine. 24:3100-3108, 2006. 7.Chang CY, Hong WW, Chong P, Wu SC. Influence of Intron and Exon splicing Enhancers on Mammalian Cell Expression of a Truncated Spike Protein of SARS-CoV and Its Implication for Subunit vaccine Development. Vaccine. 24:1132-1141, 2006. US patent No. 5922562, 5922841, 5922323, and 7118749 "H. infleunzae transferrin binding protein"; Granted 1999 and 2006. US patent No. 7018637 "Novel multi-oligosaccharides glycoconjugate bacterial meningitis vaccines"; Granted 2006. US patent No. 7105164 "HIV-specific cytotoxic T-cell responses against rev protein"; Granted 2006. US patent No. 6,228,423, 6,312,732, 6,471,996 "Targetable biodegradable polymeric particles for vaccines delivery"; Granted 2004. US patent No. 6224881 "Isolated DNA molecules from Mycobacterium tuberculosis � useful as a method of vaccination, for passive immunization, for the detection of M. tuberculosis and as a method of drug delivery"; Granted 2004. US patent No. 6,482,928 "Fab�-epitope complex from HIV-1 cross-neutralizing monoclonal antibdoy 2F5"; Granted 2004. US PTC patent application No. WO2005103259 "SARS N Protein Epitopes Mapping and their utility thereof"; 2005. US PTC patent application No. 60/588087 "Synthetic Peptides for Severe Acute Respiratory Syndrome (SARS) Vaccine and Diagnostic kits Development"; Submitted July, 2004. US PTC patent application No. 60/535641 "Identification of the High affinity Binding domain of S protein and its utilities of vaccines and immunotherapeutic against SARS CoV infections, and diagnostic kits for detecting SARS CoV in a sample"; Jan, 2004.